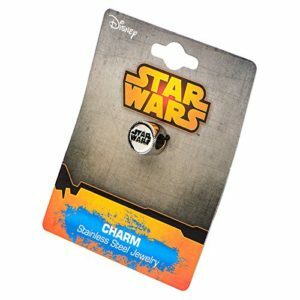 Star Wars Pandora charms are here. These charms are designed to fit Pandora bracelets ans well as the many other European style bracelets like Charmed Memories Zable and others. From the original Star Wars back in 1977 through the upcoming Star Wars Episode VIII, the fan base has gotten stronger and stronger. Luke Skywalker, Darth Vader, Chewbacca and even R2-D2, these Pandora bracelet charms are a fantastic way to say "I am a fan". So weather you are on the Dark Side, or you use the Force for good, add these Star Wars Pandora charms to her bracelet to show everyone that Star Wars Charms are Charms About You.